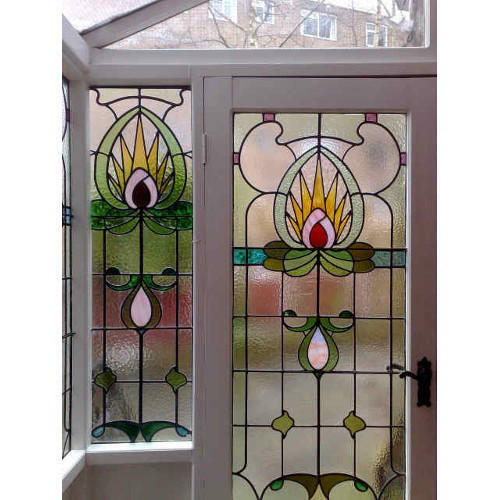 We are the leading supplier of Designer Window Glass made from high quality material at competitive prices. Established in the year 2005 at Ahmedabad (Gujarat, India), we “Swastik Glass Industries” are counted amongst the top emerging Manufacturer and wholesaler of a wide assortment of Automobile Door Glass, PVB Laminated Glass, Glass Corner Shelf, Bending Toughened Glass, Heat Strengthened Glass, Ceramic Printed Glass and many more. The offered products are precisely designed & developed utilizing the best quality raw material in tandem with the set international quality standards in order to make sure reliability, perfect finish and dimensional accuracy in the completed product. Our team of skilled procuring personnel obtains requisite raw materials from the authentic vendors of the market. The entire range of product is available in various dimensions & specifications at easy payment modes. By the support of our talented team of professionals and well-established fabrication facility, we are efficient in offering the best quality range of products to our esteemed patrons. We offer our products under our manufacturing brand "Jewel Tuf".